Produktinformationen "Pavlovic, The Modernized Nimzo - Queen´s Gambit Declined Systems"
The Nimzo-Indian and Queen's Gambit Declined are amongst Black's soundest and most universal answers to 1.d4. In his trademark style, Milos investigates the most positional ways to proceed after 1.d4 Nf6 2.c4 e6. He analyses all the critical lines whilst also taking a closer look at all the sidelines and gives Black many new possibilities to spice up the game. We are convinced that this book will bring you inspirational games and results. Grandmaster Milos Pavlovic was born in Belgrade in 1964 and has won many chess tournaments worldwide including becoming Yugoslav Champion in 2002. A well-known theoretician, he has published many well-received chess books and numerous articles in a variety of chess magazines. This is his fourth book for 'Thinkers Publishing' and his first in the 'Positional Repertoire' series. 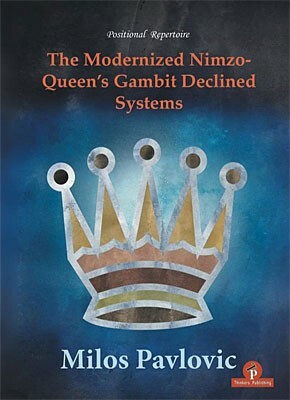 Weiterführende Links zu "Pavlovic, The Modernized Nimzo - Queen´s Gambit Declined Systems"
Kundenbewertungen für "Pavlovic, The Modernized Nimzo - Queen´s Gambit Declined Systems"